8600% more leads received since they upgraded. 5667% more leads received since they upgraded. 1567% more leads received since they upgraded. 1144% more leads received since they upgraded. 600% more leads received since they upgraded. 589% more leads received since they upgraded. 586% more leads received since they upgraded. 533% more leads received since they upgraded. 483% more leads received since they upgraded. 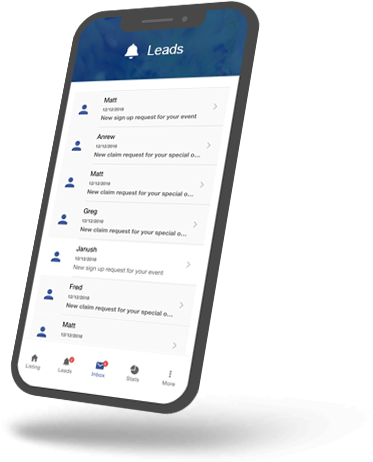 Download our ActiveActivities mobile app to receive new lead notifications to your mobile and manage your lead contacts at any time. Reach our 2.8 million parents and carers visiting each year. Get listed along with 45,000+ Australian businesses. Get your share of the 1,150,000+ leads we are sending each year.